Led by internationally-known baroque cellist (and long time Sandwich summer resident) Phoebe Carrai, this award-winning group of young Boston musicians is dedicated to bringing back to life the vivid rhetoric and dancing rhythms of baroque music. Their program will celebrate the 250th anniversary of the death of Georg Philipp Telemann, one of the most prolific composers in history, with music of “Telemann and Friends”. Phoebe Carrai, a native Bostonian, earned both her Bachelor and Master of Music degrees at The New England Conservatory of Music where she studied with Lawrence Lesser. In 1979, Ms. Carrai won a Beebe Foundation Grant to undertake post Graduate studies in Historical Performance Practice with Nicolaus Harnoncourt at the Mozarteum in Salzburg, Austria. Ms. Carrai joined the chamber music ensemble Musica Antiqua Köln in 1983 and worked exclusively with them for the next ten years, touring and teaching in The United States, Scandinavia, Europe, Australia, New Zealand and South America. Now living in the United States again, Phoebe Carrai appears both in chamber music and as an international soloist. Her recording of the J. S. Bach 6 solo cello suites were released in 2004 and the Duos of Friederich August Kummer in 2006, both on the Avie label. She performs regularly with Juilliard Baroque, The Arcadian Academy, Philharmonia Baroque Orchestra (Nicholas McGegan); the Festpiel Orchester Goettingen and the Boston Early Music Festival Orchestra. She was a member of the faculties of the Hilversum Conservatory in the Netherlands and the University of the Arts in Berlin, Germany and now teaches at the Juillard School in New York and The Longy School of Music in Cambridge, Massachussetts. 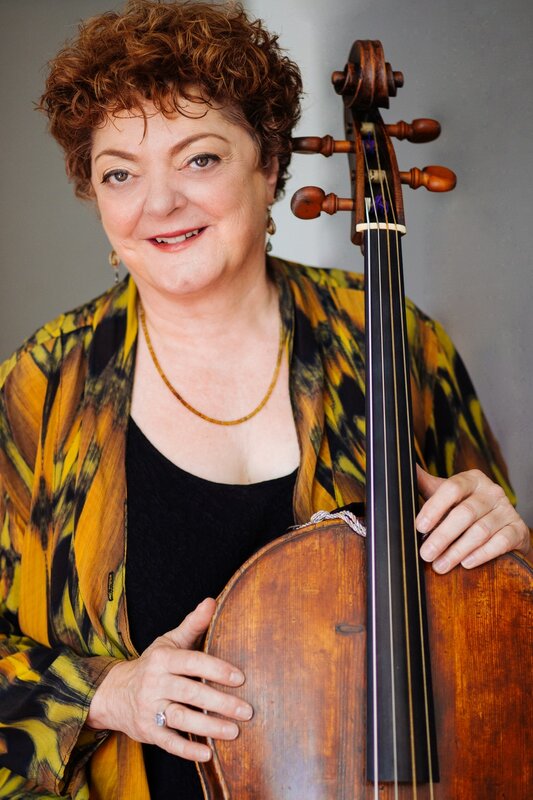 Ms. Carrai is director of the Harvard Baroque Chamber Orchestra and a founding member and co-director of the International Baroque Institute at Longy. Phoebe Carrai performs on an anonymous Italian cello from c. 1690 and has recorded for Avie, Aetma, Deutsche Grammophon, Harmonia Mundi, Telarc, Decca and BMG . Sarah Darling enjoys a varied musical career that spans many centuries and styles. She holds a variety of leading roles on violin and viola with A Far Cry, Musicians of the Old Post Road, Boston Baroque, Musical Offering, Les Bostonades, and Gut Reaction, while also performing with the Carmel Bach Festival, Emmanuel Music, Antico Moderno, Grand Harmonie, and Boston Ballet. Sarah has recorded for Naxos, Linn, Paladino, Azica, MSR, and Centaur Records. She studied at Harvard, Juilliard, Amsterdam, and Freiburg (via the Beebe, Paine, and DAAD grants), and is currently finishing a doctorate at New England Conservatory with Kim Kashkashian. She is active as a teacher and coach, with a special interest in body mechanics and musical rhetoric, and recent guest sessions at Longy, Yale, and Cornell. Sarah has been praised for her “excellent solos” (Boston Globe), “absolute concentration and astonishing precision” (Badischer Zeitung), and “sympathy and spirit” (Hub Review). www.sarahdarling.net.